I ordered some E.L.F. items a few weeks ago when they were having a free shipping for orders $25 or more deal (LOVE that promo), and I simply could not pass it up. So, make sure to stay tuned for other upcoming E.L.F. reviews. I have so much to share with you all. Today, I am showing you all one of the E.L.F. Mineral Moisturizing Lip Tints ($3.00). The color I chose was blush. 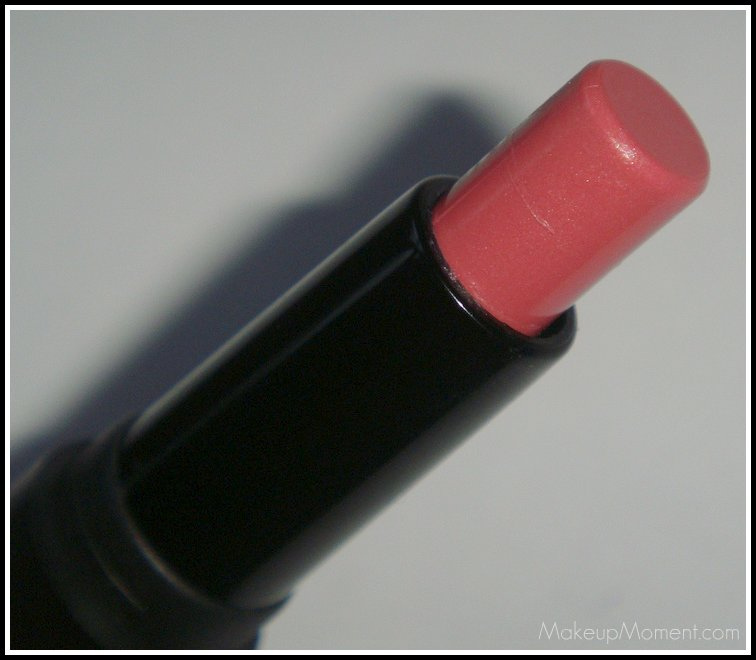 I would describe Blush as a pink-coral. But it definitely leans more towards pink once applied on the lips. It contains small hints of gold shimmer/glitter. The texture is not gritty, and they are not prominent when applied. The E.L.F. 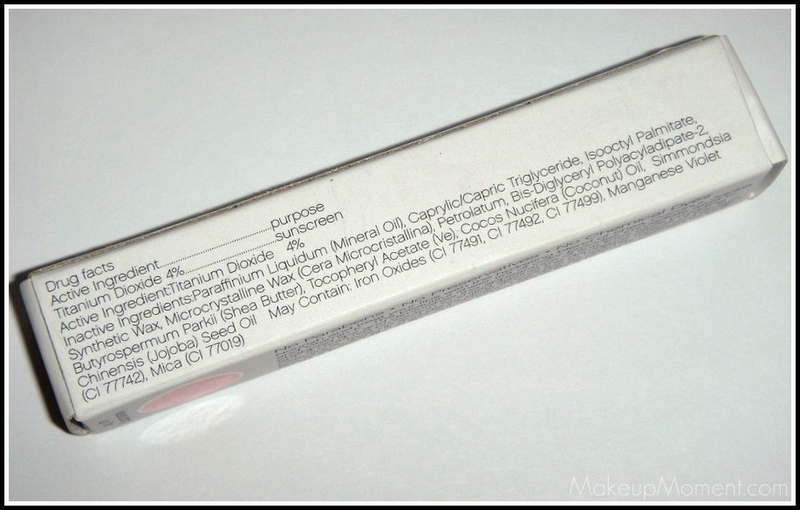 Mineral Moisturizing Lip Tints are free of parabens, chemical dyes, and preservatives. They are also infused with Shea, jojoba, coconut, and vitamin E-all great contributors when it comes to moisturizing. But what I really love is that these contain an SPF of 8! Extra sun protection is always greatly appreciated. I really like the packaging. It feels sturdy, and it's really sleek-looking. The lip tint stick is a lot thinner than I expected it to be. I admit, sometimes I am often worried that during application, it may break off. Here is to hoping that doesn't happen. I am happy to report that this lip tint packs quite a punch of color. When I think of lip tints, I always figured that the hint of color would be more subtle, and not really noticeable. 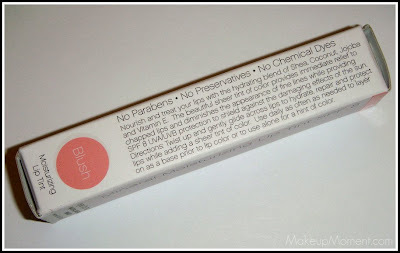 The gorgeous pink hue I received from Blush, was a pleasant surprise. 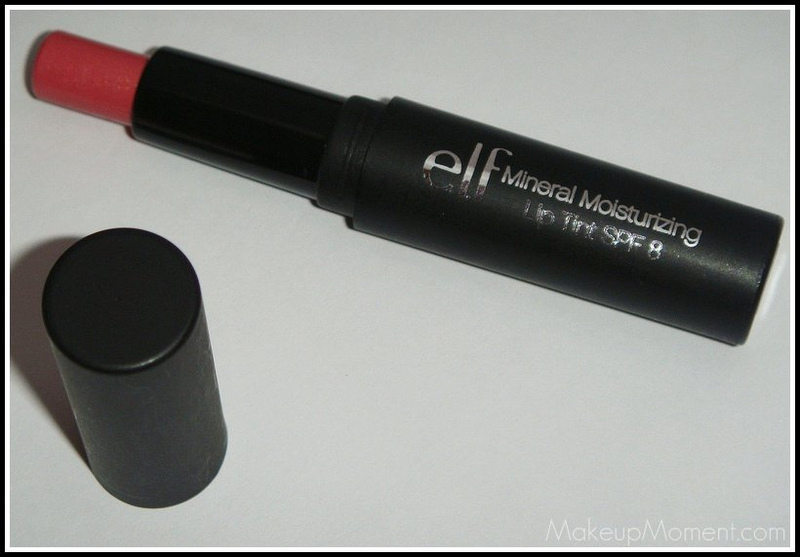 This lip tint glided on very smoothly, and my lips never felt dry during the time I had it on. Blush lasted a good 2-3 hours, before the color faded and I had to re-touch again. The sheen this lip tint imparts is lovely, and I really liked the fact that I could layer as much of this lip tint on, and my lips would never feel dry and/or start to flake. My only issue with blush was that, the color settled into my lip lines. 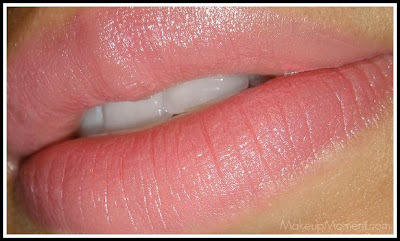 If you look at the lip swatch picture below, you will see on my lower lip how it managed to settle in the lines. I was surprised this occurred because, printed on the packaging was how this lip tint "diminishes the appearance of fine lines...." For me, I don't think it really lives up to the claim. Well, unless you have lips that don't have numerous lines on them. I did not notice a scent to this lip tint, but it does have a taste. If you find yourself licking your lips throughout the day, it would be pretty hard to avoid the sweet taste. I am quite impressed with this Mineral Moisturizing Lip Tint from E.L.F. I will definitely be picking up some more colors in the near future. The price is right, and I think these are great to just pop in your purse, and carry around when you are on the go. 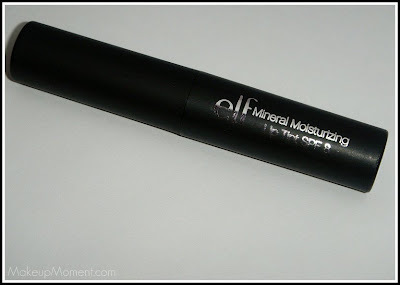 What do you all think of E.L.F. 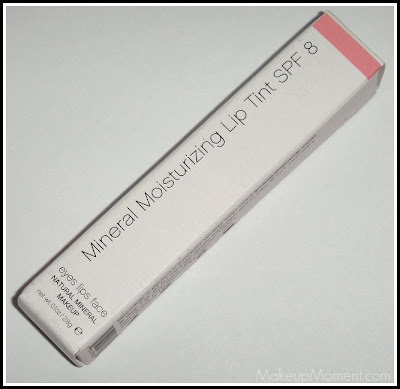 Mineral Moisturizing Lip Tints? I recently got one of these too. Tangy Tangerine,I think. I havent had a chance to use it yet, though. I'll look out for these! It looks like a really pretty color. I ordered some of these in my holiday haul and I can't wait to try them! No problem, Aly :) And I hope you like the lip tints when you receive them. Thanks, Hun! Have you tried any of these lip tints from E.L.F. ?